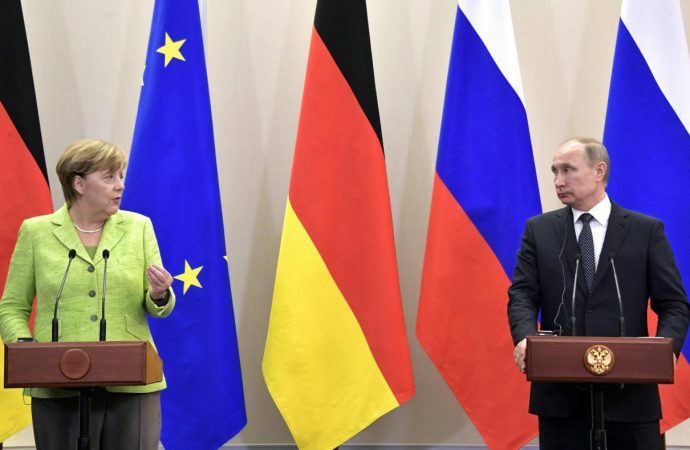 Despite US withdrawal, Russia and Germany—both signatories of the 2015 accord—have expressed commitment to the agreement. German Chancellor Angela Merkel and Russia’s Vladimir Putin will meet in Sochi today to discuss the Iran nuclear deal. Despite US withdrawal, Russia and Germany—both signatories of the 2015 accord—have expressed commitment to the agreement. EU signatories have banded together, insisting that the deal can survive without the US. Iranian officials have also met with their Russian and Chinese counterparts to guarantee the agreement would remain upheld. As the EU and Russia both have major vested interest in the Iran deal, pragmatic solidarity is not out of the question. 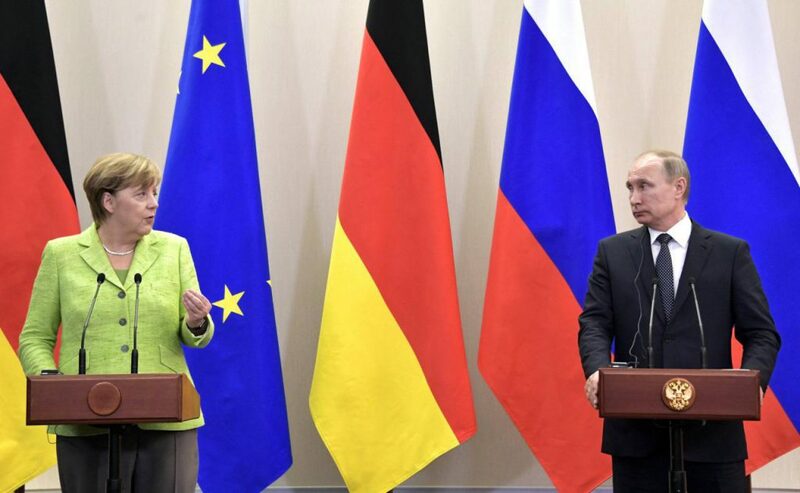 A joint statement from Ms Merkel and Mr Putin today would be a major step, bringing together the two blocs and further securing the chances of the deal’s survival. The pact’s continuation would likely temper the effect of US sanctions, leaving the US in a weakened negotiating position and perhaps pushing Washington even closer to Israel. Having already pursued staunch pro-Israel policy, the US risks renewed conflict between Israel and Iran, which would draw the ire of the Iran deal’s remaining signatories.